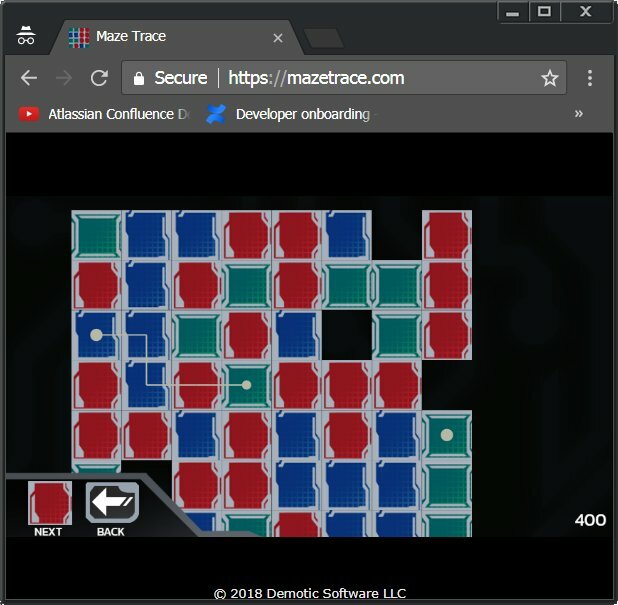 https://mazetrace.com is a fun twist on the Maze genre. Play now on any device! That was a fairly unique concept; I've never really seen anything quite like that before. It reminded me of Minesweeper in several ways – particularly a spin-off called “Mine Tower” for the timed levels. The single biggest issue I had with the game was the difficulty, specifically with the timed levels. With level 4 , I had to play it around 10 times to beat, and I only did that on the very last second of the timer. And then level 6 … it took me at least 30 tries to beat it. It almost feels entirely luck based, because if I need to move back even one space, then it’s pretty much game over, as there is such a time crunch. It’s even worse because the paths you need to take often wind around and are hard to predict. I eventually got to level 9 and then lost interest after trying it a few times. That made me realize that your game was dabbling in two different genres, without committing to either or melding them together in a feasible way. Level 6 did not really feel like a puzzle at all; rather, it was more like a twitch-reflex arcade game, as when deciding which triangular tile you should go to next, you’d have at most two different options. However, level 9 had a totally different feel, as you could have as many as 5 different tiles to choose from, which made it feels like a bit more of a traditional maze, though on an unrealistically short timer slapped on it. The “backspace penalty” does not make sense on the timed levels, as if you need to use it more than three times, you are unlikely to even finish the level in the first place with such a tight time restriction. This is amazing feedback. Thank you kindly. I've removed the timer levels for now. I think you are right in that they change the feel of the game.